A new hospital facility will break ground just off I-49 in Fayetteville this week. 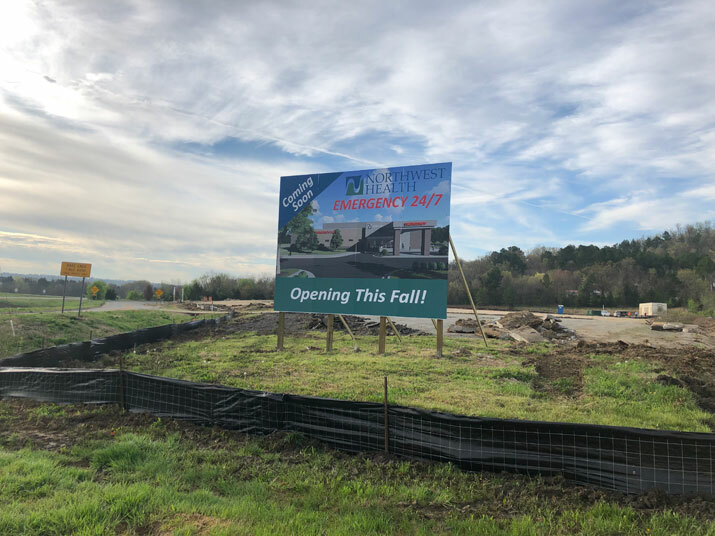 Northwest Health recently announced plans for the new freestanding Emergency Department facility, to be located at 1255 S. Shiloh Drive in Fayetteville on the site formerly occupied by the Clarion Hotel. The new 10-372-square-foot hospital will be open 24 hours a day, 7 days a week. It will be located on 2.8 acres of a 7-acre tract under development by Commercial Realty, LLC. Former Razorback quarterback Tyler Wilson is the lead broker/developer on the project. The land is owned by TSSD LLC, a subsidiary of the Razorback Foundation, after the former owners donated it to the organization in 2016. An additional 4.17 acres on the south side of the site is still available for development for office space, retail, or additional medical uses, Wilson told us. A groundbreaking ceremony for the project will take place at 11 a.m. Monday, April 8. The new facility is expected to be open by the fall of 2019.